NEW To save clients buying credits, then adding the Weekend Card to your basket each week and checking out. 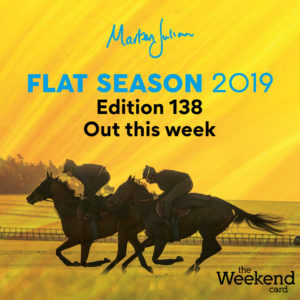 This option entitles you to download the Weekend Card every week throughout the Jumps season including our Bumper Festive edition. 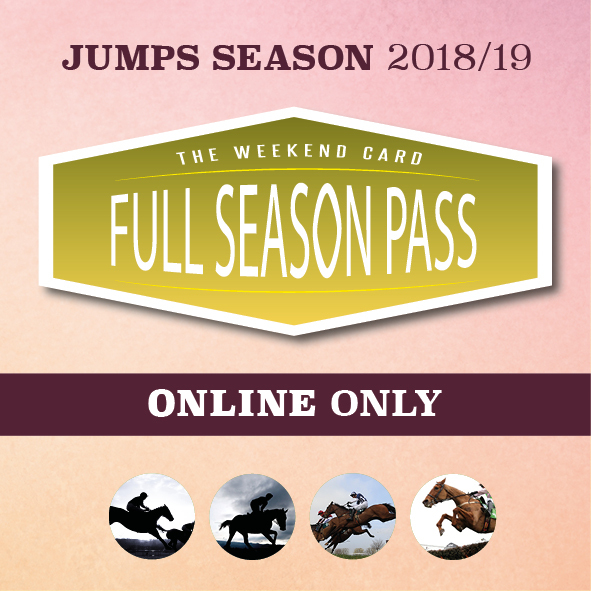 We have realised that although credits can be used to buy everything on our website a number of clients are logging in every week without fail to use a credit for the Weekend Card. We have added this service as an option to save the time of buying it every week! 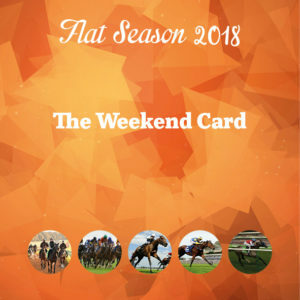 If you know you want the Weekend Card for the Jumps season every week then this is the option for you! 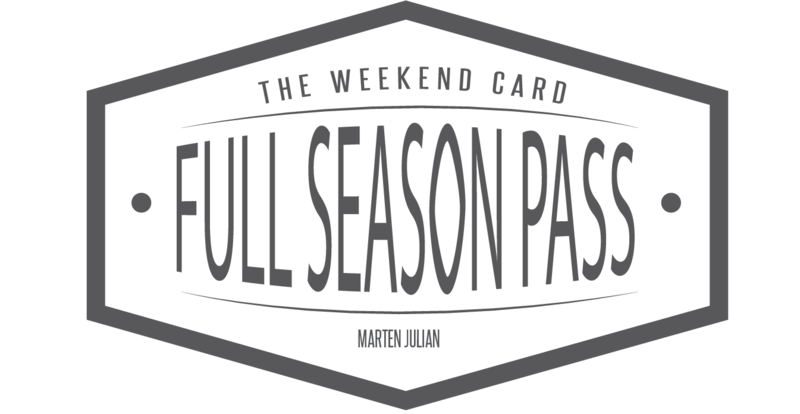 This way you buy your pass and then each week we will upload it to your online account. You just have to log in and view it every week or even at a future date that suits you if you’ve been away. For regular users here’s a handy thing to note. 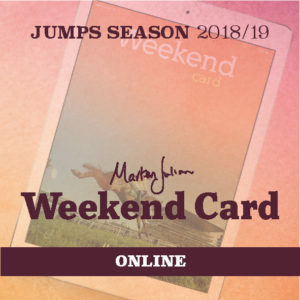 This new option to buy the Weekend Card means a full season’s Weekend Cards will appear in one place in your online account rather than one for every week. 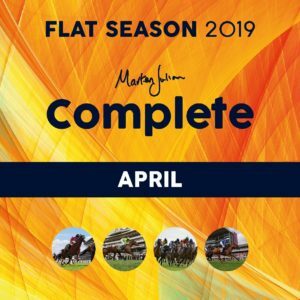 Please note this is a reduced price as we are putting you down for the whole season. If you choose not to log in and view the Weekend Card no credit or refund will be issued as we don’t monitor downloads. If you would like the flexibility of picking and choosing the weeks you would like it then please buy credits (or pay with money) and buy it as and when!